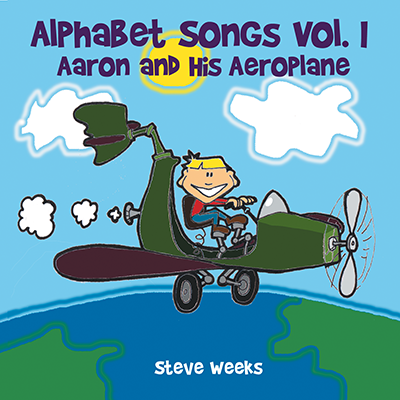 Alphabet Songs Volume I is the debut album from award-winning kindie musician Steve Weeks and the first installment of the "Alphabet Songs" series. It dedicates one song to each letter of the alphabet and covers the letters A through H.
Right out of the gate, Weeks establishes his cross-genre style, ranging from bluegrass to rock to folk to a little cabaret even. You’ll also hear all of the whimsical characters, engaging storylines and infectious melodies that have become signatures of his music. The CD was well-received nationally on the satellite radio XM Kids station where the song "If I Were a Cup" reached the top 13 chart. It was also a top album pick on WTUL’s "The Kids Show".